Hello all! Today, I am delighted to share a wonderful post by one of my favourite bloggers, Jenn Leigh. I absolutely love thriller novels, but read so sporadically I don’t really have a favourite thriller writer. However, many do have favourite writers, and today Jenn is going to share three of hers. Hi everyone! My name is Jenn and I run the blog Bound to Writing! Growing up, thriller and horror books were something I loved to read. Though I still enjoy the thriller, the horror side scared me, even then. But I continued to read. It is with great pleasure that I take part in this blog tour for London Calling by Helen Carey. Thank you very much to the publisher Headline for having me! 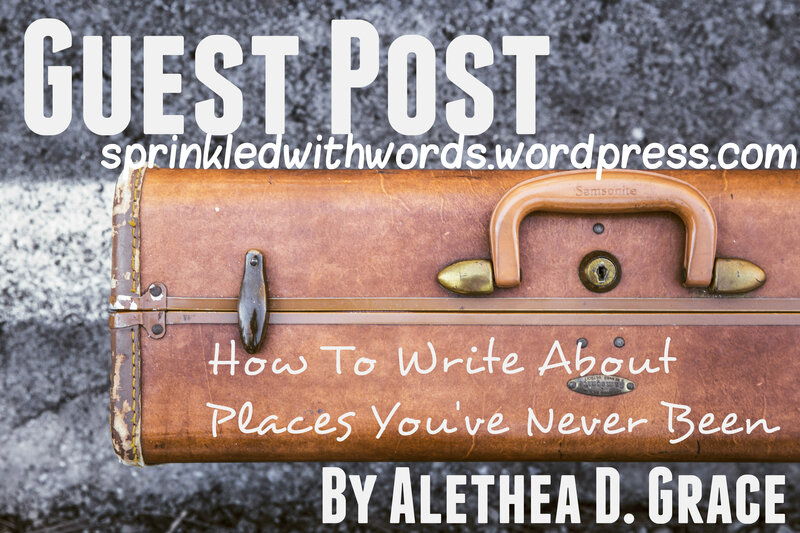 Unless you’re rich and old enough to check into a hotel, or have parents who are willing to support your writing career at an incredible level, it might be tough to actually visit places you deicide to include in your story. However, many people get around this by doing extensive research. I’ve faced this exact situation while researching Canada. Here is my advice on how to go around doing research. Talk to a librarian. Go down to your public library and strike up a conversation with a friendly-looking librarian. (Sometimes the stereotype about all librarians being nice is broken.) Me personally, my high school has an amazing school library that I go to. Unfortunately, not every school has a high quality library, which is perfectly fine. Wherever library you decide to go to, ask a librarian to help you find a few informational books about the place you’re researching. They’ll help you find the section in the building and probably recommend which books to use. Read up and take notes. Jot down facts that are absolutely important to know as you read. If a character in your story is visiting Thailand for one reason or another, you might want to write down somewhere that people there eat fried insects as a snack. If your story takes place in China it’s probably important to know that cities are extremely polluted but rural areas most likely have clean air. Are you a social butterfly? Do you have any friends who have been to the place you’re researching? Give them a call! I’m extremely lucky to have a Canadian writing friend who was more than happy to help me out. You can also tell your family what you’re up to, and see if they have any friends who they think can help and are willing to contact. We live in the 21st century. Take out your phone, tablet, eReader, or computer and get on the internet. Search on Google, Bing, or whatever search engine you prefer. Just make sure it’s a reliable website and, no, Wikipedia is not reliable. Read published novels. Not just any books, of course. Find stories that take place where you want to write about. If you’re writing about Scotland, you should consider reading The Geography of You and Me by Jennifer E. Smith. Researching might take days or weeks, depending on how much information you need to collect. Really, it all depends on how much information you think you need. If you want to make it realistic (which is what every writer’s goal should be, whether fantasy, romance, or anything in between), you need to at least look like you know what you’re talking about. If you can’t do it for real, research enough to fake it. And, remember, never give up. You can do this. 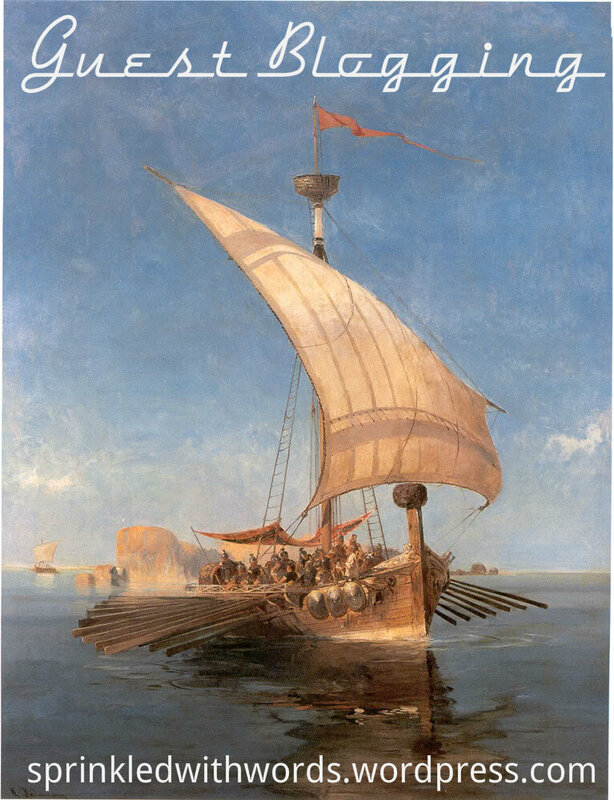 This post first appeared on Alethea D. Grace. Find out how to guest blog on this website by clicking here! I’m gonna talk about movies. Hannah: IT’S A BLOG ABOUT BOOKS. I’m gonna talk about books. And their movie adaptations. Boom. I’m getting sidetracked. It’s a common theme. You’ll get used to it. Honest. So, I’m a big reader of books. Unlike Hannah I have read all of the books on my overcrowded shelf, but one thing that gotten a little on my nerves is movie adaptations of books. On paper all seems fine. You take the thrill of a book’s fast paced action sequences, or the thoughtful ponderings of a deep character, or whatever the hell 50 Shades is, and present them in a format that opens them up to the wider audiences. And for a while all was fine. The Harry Potter books really set the standard for a good adaptation, mixing JK’s enticing storylines with new talent and old favourites, and really creating the basis for the first official internet fandom. Then Peter Jackson started the Lord Of The Rings grinder churning (all could of been solved easily if the eagles weren’t so lazy #justsaying), and all was good. Book adaptations began to get a hold. And sink in, badly. As anyone whose read my blog will know (so just Hannah) I really believe there’s a problem with originality in content of any form nowadays. And it is nowhere more prominent than in book adaptations. Suddenly the whole industry went, ‘Hey, this is a thing, that works!’ and joined the book-vie craze. In the beginning there was Michael Chricton (Jurassic Park). And he had a bakery. Which sold bakewells. And they were great bakewells. So great that people only remembered the bakewells and not Chricton himself. (Until a week ago I didn’t realise that Park was adapted from a book). Fast forward thirty years. JK Rowling (Harry Potter) opens a bakery. And starts selling good quality apple pies for a good price. Then Peter Jackson (LOTR) opens up down the road and begins selling really big Chelsea buns, which are hard to get into but once you do they’re great and last forever. And all is well and good, the two get along, as they’re not baking the same stuff. Anthony Horowitz (Alex Rider) comes along and sets up selling tarts but goes bankrupt because they don’t quite capture the magic of the recipe (James Bond). Rick Riordan (Percy Jackson) comes careering into town on his mobile bakery van selling some cookies but gets moving again pretty quickly because no one likes them compared to the original cookies (The Books). Then Stephanie Meyer (Twilight) sets up shop. And sells apple pies with a soggy bottom (Terrible Books). But everyone abandons ship from JK to go to Stephanie because they’re cheaper. Apart from the ones who have a taste in pies who stick with JK, because they appreciate proper pie making (you can tell I just love Twilight) And both bakery customers get really angry at each other (The “Fandom Wars”). Meanwhile Percy Jackson has run out of pastry (the end of the LOTR saga) and his shop closes indefinitely. Suzanne Collins (The Hunger Games) begins selling Cherry Pies, which taste great with Apple Pies and so the customers of JK and Meyer also begins shopping there. Then all manner of shops begin setting up and selling various pastries of all descriptions. and so the market becomes oversaturated. Jackson returns with even more pastry (The Hobbit) but he’s stretched the pastry thin due to his lack of it so the buns don’t hold together so well (stretching one book into three films) also he’s putting some herb on top that no one likes (the romance between Kili and that random Elf chick). Rick Riordan swings back into town and tries again but still no one likes his food. Then E.L James (50 Shades) comes along and steals Meyer’s already bad recipe, but tries to make it her own by making the apple pies shaped like a man’s privates and nothing to do with apple at all (turning a Twilight fan fic into a book). So it’s all going to hell. JK’s done but the customers want more so she’s desperately making a new recipe which might work (Fantastic Beasts and Where to Find Them), E.L James’s business is throbbing (bad choice of word) with success, Meyer has ended her business by accidentally putting chilli in her last few pies (the terrible ending of the Twilight saga), Chricton’s bakery is back up and running (Jurassic World), but it’s run by someone else, who still does a pretty good job, and Marvel (comics count) is down the road as the figurative equivalent of Tesco, pumping out goods and booming, whilst DC is looking a bit like Lidl; all of its employees are depressed (DC refuses to do anything fun or even interesting in their movies). So that’s a random rambling recap of the Book-Movie distribution and why I shouldn’t be allowed to guest blog. So if you liked whatever that was come check out my blog where I rant about things, review things and generally attempt to annotate my life with a little classic British self-depreciating comedy. 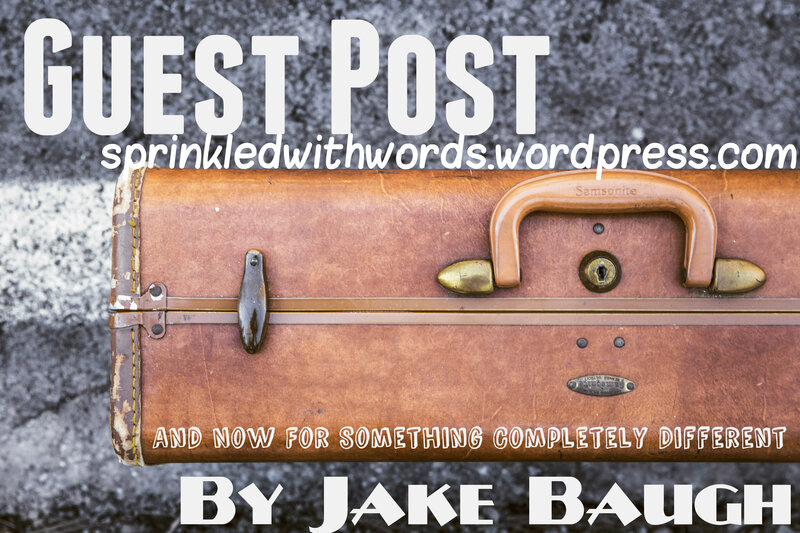 Want to have a chance to guest blog? Click here! 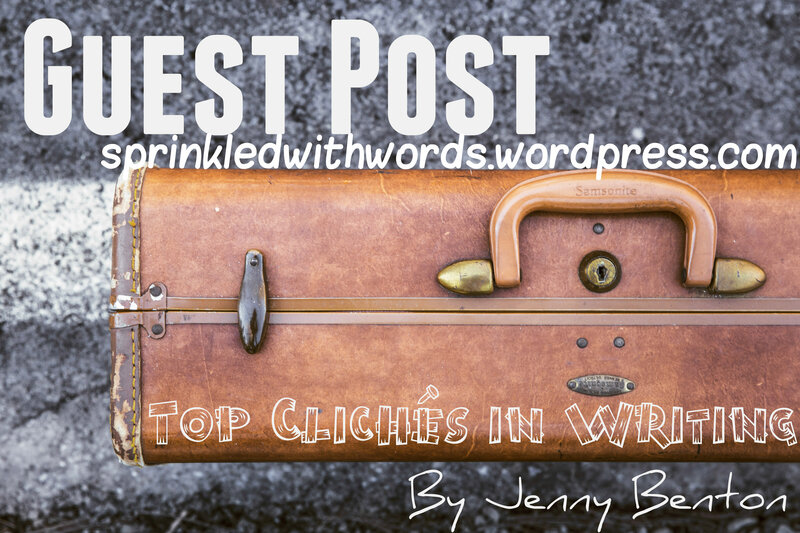 Most of the time clichés in writing can be annoying and almost feel like a let down, even betrayal, for the reader. One of the most hated ones is, “it was all a dream,” thus explaining away the entire plot and making it pointless and the reader feeling cheated of a proper ending. However, there are some good clichés in writing, which are (to me at least) still entertaining, even if they are overused. Bad guy turning out to be a main character’s father or mother. “You mean to say… he’s my…” she asked with trepidation. “Yes. He is your second cousin twice removed.” He nodded solemnly, and she gasped. Bad guys sneering and being sarcastic. Who doesn’t love an antagonist that you’d quite like to punch if you met them in real life? These antagonists usually swagger in unexpectedly, or are found leaning against a wall, eating an apple mockingly. They will have some snarky comment about whatever the main character has just been discussing, which is bound to cause at least a little drama. You can find one of these antagonists in almost every novel, and most of them are quite fun to read, even if you do want to slap them occasionally. These characters have a mysterious past, and nobody is allowed to get too close to them – you wouldn’t understand. They’re usually met in a busy location, but they stand out from the chattering crowd as the dark and mysterious loner in the corner. Of course, it’s always the one curious onlooker (normally the main character) who asks about them (Lord of the Rings springs to mind here). It would be funny if the brooding character ended up being no relation to the plot. “Who’s that?” he asked, noticing the man in the hooded cloak in the corner, hunched into his chair, a hand around his tankard as he watched the candle sink lower in front of him. Sometimes describing eyes, hair colour, landscape etcetera can be hard, especially trying to come up with a new and impressive. Sometimes it’s best to stick to the classics, though many find these annoying. Personally I rather like them, even if they are a bit used. I suppose the familiarity with the phrase is something that’s good at evoking emotions in readers. My name is Jenny, I write a range of fiction novels, but I particularly like writing mysteries, fantasy novels and adventure novels. This is my first piece of work that’s online (though I have been doing a colab fanfic with this fab blogger), and so I hope you like it. 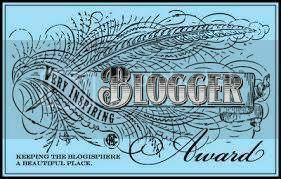 Visit this page for an opportunity to guest blog yourself! Immediately after I completed the second draft of my novel, I jumped right into it again for the third. While my second draft was mostly rewriting the whole story after I decided to change many major aspects of the book, the third draft is going to be mostly editing. Set a daily goal of how many pages you’re going to edit. If your book is two hundred pages long, set a goal of editing ten pages every day. In twenty days, you’ll get through the whole book. Study your writing habits. I have a hard time writing in general. It takes me almost an hour to write two hundred decent words, and that’s when I get my burst of inspiration and motivation. Over time I’ve noticed that they come late at night. Use these moments to conquer writing and editing! Have writing buddies. Ask them to read your story and catch any mistakes you have. My friends usually catch plot holes in my novel before I do and point out incorrect or debatable facts. Just make sure that they’re willing to be brutally honest about their feedback! Now, if editing comes easy to you (which, if it does, you should contact me and give me some advice), here’s a few tips to slow yourself down a bit. YouTube. Jenna Marbles can keep me entertained for hours. TV show marathon. I’m a sucker for Law & Order: SVU. If there’s a SVU marathon, I’m probably already in front of the television. If you have Netflix, start a new series. Curl up with a good book. I didn’t touch my computer while reading Eleanor & Park by the amazing Rainbow Rowell. She even favorited my tweet about her book! I’m planning to buy a signed copy for my birthday in September. Start your own blog. Finding topics to write about is harder than you might think it is. I only blog once a month and I still have trouble. Socialize with other aspiring writers and indie authors. Make friends who share the same passion as you. Connections can be very beneficial and supportive. 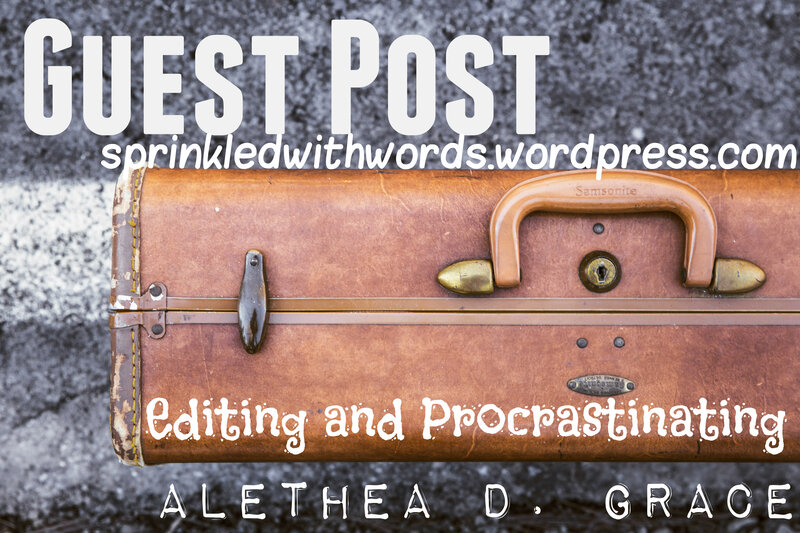 Alethea D. Grace is a pen name for a girl who has a passion for writing. Although her first language is not English, somehow that’s the only language which she’s capable of expressing herself in through words. When she’s not doing anything related to school, she can be found on her computer writing or watching YouTube videos. She is currently working on the same book that she started over a year ago. Click here to have the opportunity to guest blog yourself! Since I posted about this last Monday, I’ve had a host of people asking when they can start, how much they write, when and where do they submit it, etc. There’s now a brand-spanking new page for it, but I thought I’d blog about it too to keep you all updated. 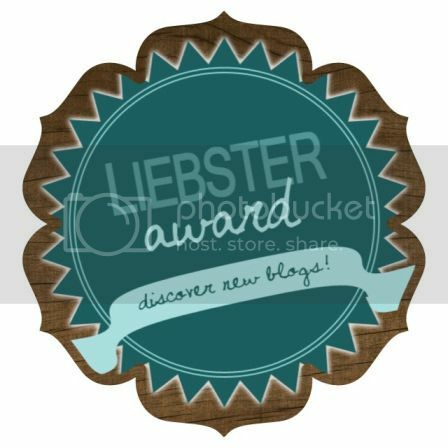 Unfortunately, I’ve never guest blogged on someone else’s blog (although, if you’re asking, yes I’d love to!) so I’m kind of going to wing this one and do it in my own unconventional style. And please attach the article as a DOCUMENT (either Word or OpenOffice, or something I can open). Guest blogs are going to be posted on THURSDAY, so the first will probably be next week (16/07/15). I look forward to seeing what you guys will come up with!